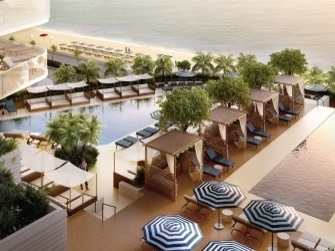 Right on the oceanfront of the beautiful Fort Lauderdale Beach, we are pleased to announce the development of the Four Seasons Condo Hotel and Residences. This is where architectural beauty blends nicely with the natural surroundings of this unique area. Fort Lauderdale is renowned for its fabulous waterways, and it is the place to be for those who love natural seascape beauty, yachting and surfing. Apart from the unique seascapes, the hotel and residences are just south of the Hugh Taylor Birch State Park, where one can enjoy wildlife habitats, walking trails and a beautiful freshwater lagoon. Right on the other side, one can enjoy a wide variety of shops and restaurants across the Las Olas Boulevard. 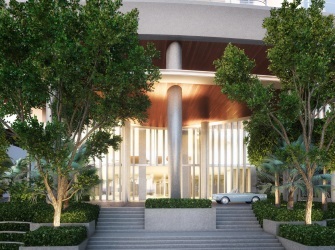 The location of the Four Seasons condo hotel and residences is quite simply sublime, as one can enjoy natural beauty, but benefit from convenience within close proximity. Needless to say the hotel and residences are exquisitely finished. Considering that the renowned designers Tara Bernerd, Martin Brudnizki and Fernando Wong have been entrusted with the design of the hotel and residences, there is no need to divulge any further details in this regard. The building has a separate hotel lobby, as there is another lobby for the residences. The lobby of this five star hotel is two stories high, with a grand staircase that leads to the myriad of services and amenities. 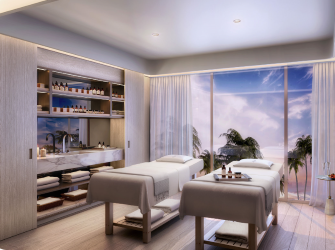 There are dual pools on the third floor terrace, and owners of the residences will be able to avail themselves of a variety of facilities, leisure activities, and the unrivalled Four Seasons care. Apart from 24hour security services, grocery provisioning, valet and laundry, there is also a butler and housekeeping service available, and even dog grooming services, on-demand car services for airport transfers, and maintenance and repair services. Residents will also be able to enjoy a variety of dining options as there are two restaurants and lounges to choose from. 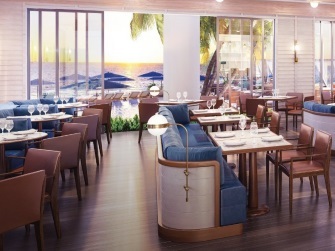 Entertainment opportunities abound here since there is a pool bar and lounge, an ocean view outdoor café, landscaped gardens, a signature restaurant with both interior and alfresco dining, and an all-day restaurant on the third floor terrace. There are also ballroom and function facilities, a spa and fitness Center. There are 150 guest rooms, 30 hotel residences and 65 private residences available. The Four Seasons Condo Hotel and Residences offer spacious and stylish accommodation, with outdoor terraces featuring panoramas that will literally take your breath away. Just as the outdoor areas are simply sublime, so are the condo hotel units and the residences within. Residences come with high quality custom kitchen, baths and hardware, private terraces with glass railings overlooking the ocean and the city, floor to ceiling windows and sliding doors, lofty ceilings and stone flooring, prime coat finished walls, laundry rooms and large walk-in closets.